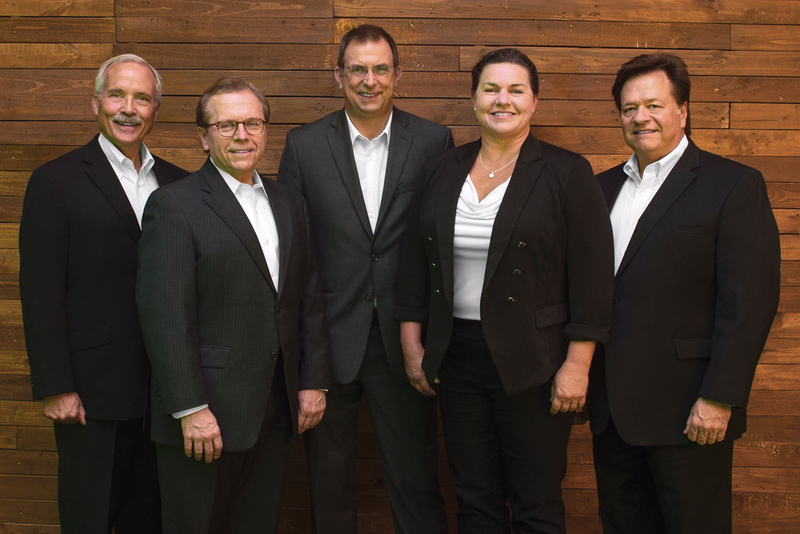 Five industry leaders discuss the new Southern Automotive Manufacturers Alliance. At last year’s Southern Automotive Conference in Birmingham, Alabama Governor Kay Ivey announced the formation of the Southern Automotive Manufacturers Alliance by the AMAs of Alabama, Tennessee, Mississippi and Georgia. Also associated with the new, cooperative organization are the Southern Automotive Women’s Forum, the South Carolina Automotive Council and the Kentucky Automotive Industry Association. Recently, five SAMA leaders—Ron Davis, president of AAMA and SAMA; Ashley Frye, executive director of TAMA; Lex Lemmers, president of MAMA; Rick Walker, president of GAMA; and Amy Moffatt, president of SAWF—gathered to talk about what SAMA means for the region. Q: Why create SAMA when you already have industry organizations for each state? A: Davis: What we recognized is the need to protect our brand. We were already working together. We talk to each other on a weekly basis. We’re friends. We cherish that friendship, we cherish that partnership, and we wanted to have structure around how we work together and move the Southern automotive industry to help it continue to grow and get stronger. We had one particular case in our southern region where someone took our attendee list from our Southern Automotive Conference and attempted to do an event. That’s the kind of thing we want to make sure that we [avoid] to protect our brand. Lemmers: It also gives us the opportunity, together, to prepare for our ever-growing Southern Automotive Conference. Q: Who does SAMA interact with? A: Davis: We interact heavily with the top CEOs in the southern region for the OEMs and the top executives for all the supply base, and we also interact very actively with the top legislative people and the governors of each state. Q: How has this organization been received by the OEMs, suppliers and others in the Southern automotive sector? A: Frye: We are working with various organizations of IMCP (Investing in Manufacturing Communities Partnership), an organization that is funded in part by NIST (National Institute of Standards and Technology), and looking at how we can use SAMA as a platform to collaborate with the various programs that are available. I’ll give you an example. In the past, when there were federal monies available to support automotive manufacturing in any kind of capacity—a facility, training or otherwise—states individually have gone after grants. And that has been a real hit-or-miss proposition because it looks very localized in terms of the payback or the benefit that the federal government would receive. But by engaging an organization like SAMA to go after grants that would influence and benefit the region, it would more likely be better received on the part of the government. Moffatt: If one of us succeeds, we all succeed. The thing about Toyota [where she is a senior manager] is they’ve always invited people into their plants to learn from each other, so that’s ingrained in our culture at Toyota. And that’s exactly what we’re doing here with SAMA. Q: How is SAMA organized and how does it work? A: Walker: SAMA is an incorporated nonprofit membership organization. Right now, there are three founding members—Alabama, Tennessee, and Mississippi—and an apprentice member, Georgia. And then there are also three affiliate members: Southern Automotive Women’s Forum, as well as the Kentucky Auto Industry Association and the South Carolina Automotive Council. Moffatt: Members could be executives from organizations, but not necessarily. It’ll be everybody representing all of our industry partners at all levels. It’s similar to the Southern Automotive Women’s Forum. We have many executives from OEMs and suppliers, but also from service providers. Q: What has SAMA accomplished since its launch? A: Lemmers: I think the most important part we have accomplished is getting the formal organization structure in place. We have our communication channels in place, we have the roles in place to get ourselves now to the next level of action. Walker: We’re starting to act in every way like a functioning corporation. We’re starting to take on an organic life. We’re farther ahead now than I think we expected, which is great. We’re getting together once a month just to talk about helping each other. Q: What should we expect from SAMA in the next year? A: Davis: I think you’re going to see more visibility of this organization. You’re going to see the continued growth and expansion of our Southern Automotive Conference. You’re going to see us being better and better coordinated from state to state. We’re going to engage heavily in workforce development. Lemmers: On a state level, we had our own specific events for our members, and what we tried to organize now on a SAMA level is to overlap those agendas. With bigger events on a certain topic that our members from the different, adjoining states could be interested in, they are not forced to select one over the other. Q: What are the biggest challenges to the automotive industry in your individual states? Frye: Our southern region is growing and expanding—suppliers, OEMs—so when they pull people from educational institutions, out of high school, through community college, career tech centers, they also pull from other suppliers and other industries. We don’t want to damage the southern region by pulling all good workers in automotive, and we also want to have enough good workers to support the growth and expansion. So the challenge is managing workforce development so that everyone wins and everyone has what they need. It’s a big, big task. Lemmers: I think there are two elements to workforce development. One is the general availability of employees and associates in our processes, but also the complexity of the technology being applied in automotive is increasing and requires more skills, and a higher level of skills, particularly for trades for maintenance groups. Moffatt: Obviously females are under-represented in the automotive industry in general, so one of the challenges, especially in the South, is that for a lot of the kids coming up now, which is when you have to start engaging them to get that interest, their parents weren’t around the automotive industry. So we’re trying to educate females, particularly, on the excitement of working in the industry and that we do have role models now in the industry that have thrived and are in positions very high in their organizations. We need to show that to these young ladies coming up so that we can have them enter the workforce in the southern automotive industry. Q: Will SAMA address other diversity issues? A: Frye: I think an objective of our whole region is to not just talk about but embrace diversity and provide networking opportunities, training opportunities, exposure opportunities. We’re going to need that to be successful. Not only do we want to bring more females into the industry, but a diversity of cultures too. Look at our companies that we have; they’re from multiple countries. Dave Fernandes was the keynote speaker at our diversity conference [the day before the interview], and I believe he said that they speak 20 different languages in his [Toyota] plant in Huntsville, Alabama. Q: Are the challenges in the South different from those in the U.S. auto industry as a whole? A: Davis: Not every part of the country is growing like the southern region is. I’m not saying they’re not without their workforce challenges, but ours is unique because, I think, of the magnitude of the growth. Frye: There’s a need for manpower. In Tennessee there are 135, 000-plus Tennesseans employed in the automotive industry, from the OEMs to the 900-plus automotive suppliers. With that there’s the growth, of course, and that’s part of what we’re engaged with, with SAMA. But when you get boomers that are retiring, you’ve got to have that replenishment pipeline in place as well. So the scale of it is quite large. It’s not a mom-and-pop issue we’re talking about. We’re talking about hundreds of thousands of people. Walker: We make more cars in the South than anywhere else in the country. And second, the South is the third largest GDP in the world. So what we do here is really having a major effect. Lemmers: It’s also still relatively new. There’s not really any history of the automotive industry in the South. We’re growing fast, so in particular the school part still requires a level of attention. Q: How will you avoid competition among your states as you represent SAMA? A: Davis: There is a competition between the states in economic development, to win new plants and those kinds of things. But while we have our own OEMs in each state, with a supply base that goes along with it, now that we have SAMA we’ve become Southernized with tying everything together. The needs in Alabama are kind of the same needs as in Tennessee, in Mississippi, in Georgia. So we’re able to better communicate and ensure that we facilitate development of those responses necessary to help our industry. Walker: The fact that we can come together now as one group… there’s strength in that number, and that’s going to catch the attention of the federal officials reviewing our grant applications. It’s going to be hard to turn down seven states.